You are here: Home / Guest Posts & Interviews / Help! How do I Price My Paintings? Help! How do I Price My Paintings? A few months ago I started sharing snapshots of works in progress on social media. Not long afterwards, someone I know on Facebook asked if my work was for sale, because she wanted to buy a particular piece I was working on. It gets better: turns out she was interested not just in purchasing the canvas-in-process; she also wanted me to create a second, “sister canvas” to go with it. Just from posting my process pics on Facebook, I had a buyer for not one, but two paintings! Great! I am convinced that pricing is always the hardest thing I do as an artist. How the heck do we decide what to charge? Pricing just feels like a big, black void, and one with a lot of pressure: charge too much, and they’ll run away; charge too little, and you’re shooting yourself in the foot. Ultimately, this spontaneous Facebook commission made me determined to set an entire pricing structure for my work, rather than just grabbing a number out of the air every time I create a new piece. Here are some of the “ground rules” I followed, and some tips that I hope will help you confidently set pricing for your own art. 1) Remember: your pricing gets to change. If, like my story above, you’ve got a client waiting to hear back about a price, know that as you become more established, you’ll be able to command higher prices. You may even raise your prices+ on your very next sale. In other words, whatever you charge this one client is not set in stone, so don’t stress too much about it. Keep in mind, though, that it’s always a better business move to raise your prices than to lower them, so leave yourself some room for growth. That said, leaving no room for growth is not actually most artists’ problem — most of us have the opposite issue: charging too little. Once I brought art to be juried into a show, and was horrified that one of my fellow artists was charging less for her work than it had cost her to frame it! Needless to say, this is a big no-no. Always make sure your pricing covers your actual costs (canvas, paint, framing, shipping if applicable — unless you’re going to charge a separate, additional amount for shipping/packaging). You also want to take into consideration how much time you put into creating your work. Emerging artists may not be able to command high enough prices to pay themselves fantastically for their actual time spent, but that’s definitely the goal for the long term! Not sure if you’re undercharging? As I wrote in this post on 5 Pricing Lessons Learned the Hard Way, I have a practically foolproof gauge: resentment. If I notice myself feeling resentment about a sale, it’s a good bet I need to raise my price! On the other hand, if my prices don’t make me feel at least a little uncomfortable that I’m charging too much, I’m probably undercharging! Your mileage may vary with this: start to pay attention to whether you tend to undervalue or overvalue your work, and adjust accordingly. 3) Be clear and consistent. Of course your goal is to be paid well for your time, but the truth is, some of your pieces probably take a lot longer to create than others. You know how much work went into each piece, but customers don’t know (and don’t usually care) how long a piece took you to create. Charging by the hour is likely to result in a lot of confusion as potential customers look at two pieces of the same size and wonder why piece A is so much more expensive than piece B. Customers who are confused do not buy, which is why I’m a believer in clarity and consistency. Editor’s note: for more on why clarity is so important, check out our post What Artists Can Learn From a Door-to-Door Salesman. If you’re a painter, one way to ensure you’re clear and consistent is by using size-based pricing — either by the square inch (h x w) or by the linear inch (h + w). This makes your pricing easy for potential clients to understand, and it prevents you from charging more for pieces you’re particularly fond of, which makes your pricing seem random and confusing (and remember, customers who are confused do not buy). 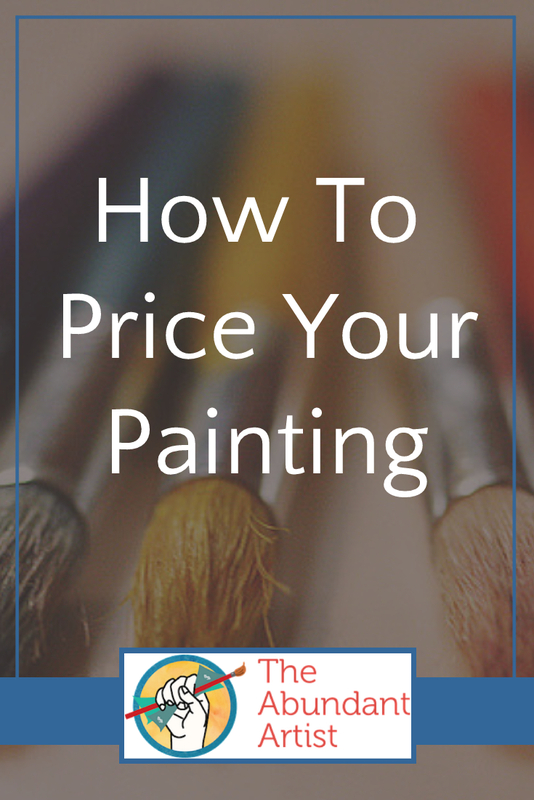 With size-based pricing, you simply need to determine your current multiplier (the number you multiply by the canvas size) in order to immediately know the price for any given piece (okay, possibly with the help of a calculator…) . If you create in a lot of different sizes, you may find linear inch pricing more sensible than square inch pricing. Why? When you charge by the square inch, the price difference between a small painting and a larger one can become astronomical. I don’t know about you, but $40 seems awfully small price for a painting by someone who commands $2,560 for a 32×32 canvas. Neither of these pricing methods is “right” or “wrong,” but once you determine your method and your multiplier, charging by size can be a very helpful way to eliminate the guesswork, and feel confident about your pricing. Different Pricing for Different Media? One possible modifier to your size-based pricing structure is the media you paint with. If you only paint watercolors, or only paint oils, there’s no problem, but if you paint both on canvas and on paper, as I do, it gets a little tricky. For whatever reason, paintings on paper tend to sell for less than paintings on canvas — even though they require framing, which is an added expense. In my case, if I were to pay to have a piece framed, my costs become much higher for a work on paper than for a canvas painting! What’s an artist to do? It can be useful to look around at what other artists are charging for their work: artists in your local area, and especially artists at a similar stage in their careers. What are people charging for framed works on paper? For unframed works on paper? For stretched canvases? The challenge here, though, is that what other people charge is likely to be all over the map. So when you do your research, be sure to take into consideration how you want to brand yourself: do you pride yourself on making “art for everyone,” at “everyman” prices? Or do you want to make your mark as a high-end, premium-pricing artist? When artist Matt LeBlanc was deciding what to price, he looked at what kinds of art were available in his area and noticed the low-end and high-end of the market were rather saturated. The mid-range, though, didn’t have a lot of competition, so that’s the price range he decided to set on his paintings — at the time of this writing, Matt has work for sale from $50 to $900. This kind of research worked well for Matt: he went from selling no art, to being featured on HGTV, and being one of the hottest selling artists in his area. 5) State your price, then shut up. My most expensive moment as an artist was several years ago, when a couple flew out to California from Philadelphia to meet with me about commissioning a ketubah for their anniversary. I’d already told them my price range, which at the time was something like “from $1,500 to $5,000” (mistake #1: never put an upper limit on your pricing! ), and when they told me what they were looking for, I realized it was going to be one of the most time-intensive pieces I’d ever made. In other words, this was a top-of-the pricing scale commission. Yep — because I couldn’t just state my price and shut up, I lost a thousand dollars in a heartbeat. (And “scaling back the design” is a myth. It never happens!) Lesson learned. This one is important, so I’ll say it again: state your price, then shut up. Period. Do not explain, do not apologize. The really challenging thing about pricing is that there are no hard and fast rules. Everything depends on you, your work, where you live, where you are in your career — there are so many variables it can drive us nutty! The tips I’ve shared here have helped me get more confident with my own pricing. I won’t lie to you, pricing my work is still really, really hard, but hopefully these ground rules will help light your path as you negotiate this trickiest of areas for artists. Melissa Dinwiddie is an artist, writer, performer, and creativity instigator, on a mission to empower people to feed their creative hungers. She coaches and consults with individuals and groups, and leads creativity workshops and retreats in inspiring locations around the world as well as online. Get a FREE mini-poster of Melissa’s Keys to Creative Flow and her Imperfectionist Manifesto at Living A Creative Life, MelissaDinwiddie.com. You are so right, especially about never being apologetic for your prices! I decided that I wanted to base my price on time taken, so I set out to time everything I painted or drew. I worked out averages for each style of painting, and that gives me my price list. I adjust the price list as often as I like. But I don’t reduce my prices because that would not be fair on clients who had already paid more. I LOVE your system of working out average times that each style of painting takes you! Brilliant, Jen! I’m totally borrowing that — I’ve been working on a piece that’s much more time-intensive, due to different style/media, and was just trying to figure out how to avoid undercharging, while still retaining consistency in my pricing. And I totally agree on not reducing pricing. Hi I’m a digital artist just about to print and sell for the first time. Will also sell some purely digital pieces can anyone give me an idea of pricing. Is a digital original (signed)in print form worth the same as an oil or watercolour? Also if I make a piece that is then used in a logo or advertising how do I adjust for that. So you have to sell the prints as prints, because that is what they are, no matter how much peanut butter you smear on the issue. That is why I now paint acrylics. Then I digitize them and sell the prints. Makes me a living. I make more off the prints even though they sell for about 1/10 of the original. Pricing: I used to do digital cover art for a trade magazine. Got $1200 for each issue. Got $175 for a little humour illustration in the back of same magazine. Sometimes the two took the same amount of time. Go figure. Logo: You sell specific rights for a price you can live with. Don't be greedy or you won't make the sale. If you get more work than you can handle, it's time to raise prices. Hi, are your digital copies on paper or photo paper? What size are they ? Or are they digital copies you download? I was at an art fair once I sell pics on canvas didn’t sell any. My friend 3 spots down prints her paintings into greeting cards. She made 150.00 that day…..
Wow! Age 11 and selling your work! I would love to see some . GaLela, if you Google “how to calculate the area of a circle” that will give you the math formula for the area. Then you can use the linear inch pricing. You could charge by the square inch. Hi Melissa, I work on paper and canvas. I have been varnishing my watercolors for over a decade, and now with UV protective acrylic varnishes and sprays, I frame all my works on paper, including watercolors without a mat or glazing. Generally, I glue the paper to a panel with acrylic matte medium. Paintings that I varnished a decade ago are still vibrant and they can be wiped off with a damp cloth. I’ve also noticed that buyers don’t differentiate between media when they buy my work.. Some buy watercolor, acrylic and oil, not realizing that they are different. Lori, I just read your post on varnishing watercolor. Excellent! Thanks for sharing that. Lori, I love having you around the community. This is good stuff. You’re very welcome Cory, and thanks for all you do for artists. I’m so glad you piped in, Lori! I don’t know what’s “industry standard practice” for fine art galleries these days, regarding pricing works on paper vs. works on canvas, but my suspicion is that the reason for the *historical* difference between the two is that works on paper are perceived to be less “serious” (after all, watercolor started out as a quick way for oil painters to sketch out drafts), and less long-lasting (historically, a lot of watercolors were fugitive, and tended to fade with time, unlike varnished oil paintings). Nowadays paint manufacturers are paying more attention to color longevity, and artists also have a lot more options for how to finish and display their works. 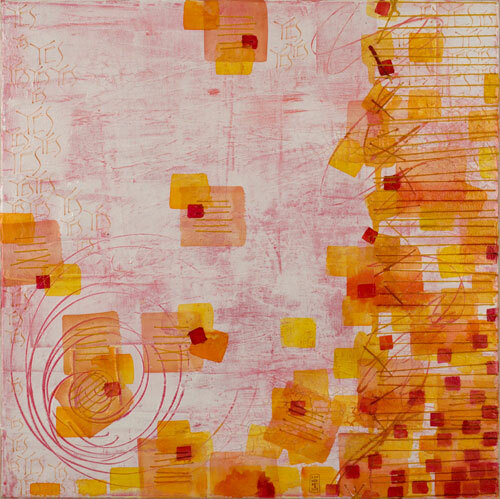 With modern varnishes and mounting techniques, and the prevalence of mixed media art, there doesn’t need to be much difference between works on paper, works on canvas, works on board. For artists who work in distinctively different styles (for example, small watercolors framed under glass, and large, 3-dimensional varnished works on canvas), I think consistency in pricing *within each style* would be the most important thing, so that it makes sense to the buyer. Thanks also for the link to your article on varnishing watercolor. Great stuff! One thing I’d add is to be sure to wear a properly fitted respirator when working with sprays, and for those sensitive (as I am) to liquid varnishes. I totally agree Melissa about pricing watercolors for less in general. Works on canvas usually do get more. One of the reasons why I began varnishing my watercolors is because when giclee prints were introduced, the galleries I was working with began to see fewer sales of works on paper. The industry had not yet begun to print giclees on canvas. So I started varnishing my watercolors, and that kept me in the galleries… They were dropping their watercolor artists in the late 90s. Then I learned to paint in oil for the gallery works. 15 years later, most of my former galleries have closed, and I haven’t been selling through galleries for the most part. Good point about being careful with spray varnish!! Yes, I use the spray outdoors! It takes awhile for the odor to evaporate even when I bring the painting indoors after spraying outdoors.. I haven’t yet developed sensitivity to acrylic brush-on varnish, but I have asthma and can be susceptible to solvents… One reason why I prefer acrylics and other water media. Melissa, just want to say that I recalculated my prices this morning using linear inch top rather than square inch. It works for my art, and is much easier. Thanks so much! Me too; pricing by the linear inch is a great idea I’d never heard of before. Thanks, Melissa! Great thanks for your tips, your Imperfectionist Manifesto and for everything you paint, write, sing, compose, play, and share!!! I love EVERYTHING and you are motivating and inspiring me so much! Please keep up doing all these wonderful jobs ! G´D bless you always !!!!! Good advice Melissa. Your paintings are beautiful by the way. I did the local research and found just like you said, they were all over the place. Then I realized that they were probably in the same boat as I was, just unsure and guessing. So I had to finally just go with my gut, which is what I think you’re pretty saying here, and I’ve been happy with my choices so far. I’ll be passing this on to some artists I know that are struggling with this issue, thanks! I am an artist, I mainly paint animal portraits. I have been along a few online, I see , here, that y’all charge way more for your paintings, than I do . I usually get $30 for an 8×10 $45 for 12×12 and $50 for 11×14. I am not sure I am confident enough to charge 100s of dollars for my work , or that anyone would buy from me. Some have told me I price too low, some say they cant afford my prices. How do you know the market in Your area? Pricing too high , means I set on my paintings, and they don’t sell. I know I have a tendency to under value my work..
Here’s the thing: art is SUPPOSED to be expensive! Nobody brags about buying cheap art. When they reach for their wallets, it should tickle, maybe even pinch. Because they’re happier that way. “Paying large for good work fulfills various psychological needs” yup, that about sums it up. I love having you around Owen. I never thought about it like that but you are right Owen! Also, we attract cheap people that don’t value our art by charging too little. OMG, Owen you have the best intro video I’ve seen. I love it. Everyone needs to click on Owen’s link (click his name) and watch the short video. YES! I love this comment so much, Owen! Thank you for stating something that most artists need to hear over and over. Melissa, this is explained very well. I have been using a less-precise but similar pricing model with adjustments to account for technical differences in my glass mosaic work. Some of the artwork uses large pieces and comes together much more quickly than those in a “micro-mosaic” style– these pieces are small enough they require tweezers. Also some of my pieces include very expensive glass from Italy so those are priced higher. One challenge for pricing: location. I would like my prices to be higher but am somewhat limited by a lower-priced market in my area. BTW I wonder if you have seen the YouTube video on pricing by painter Cedar Lee. She follows a similar method to the one you describe. Thanks for writing this! I haven’t seen Cedar Lee’s video, Joanne, but will have to look it up! I’ve been pricing my work by the square inch and getting into quite a pickle. I just worked my prices out using the linear method and it makes much more sense. GREAT questions, Shelba — thanks for asking this! The price you set should *always* be the same, whether you’re selling direct or through a gallery, otherwise you’re undercutting your gallery, and that can seriously damage your relationship with them. When you set your pricing, if you plan to sell through galleries, you must adjust accordingly. 50% is pretty standard for most galleries. Personally, I’d be unlikely to work with a gallery that took 60%. If you work with galleries, whatever your price is, you must feel like you’re being fairly compensated if you receive what’s left after the gallery takes their cut. I just wanted to let you know how much I appreciate your posts. I have just begun my mixed media journey and I love all the tips that you share. It sure makes me feel like I will be ahead of the curve when and if the time comes to sell my art. Keep it up- I’m a HUGE fan! This was a great article, and some good comments too! I played around with your two different pricing examples to see how my prices compare – and it’s interesting to see how both could work, depending on the size, but neither is “perfect” because there are so many behind-the-scene issues. Like you said, there are a lot of variables – not just needing to look at comparative pricing depending on location, but there’s also the issue of whether you’re a “known” artist or just starting out with your art career. A tip I heard from a gallery owner a long time ago, suggested after you sell three pieces the same size it’s time to raise your prices. It’s all a learning experience and marketing experiment. Thanks! I agree, Jana — both square inch and linear inch pricing methods can work, but neither is perfect. The key, I think, is understanding your own variables. And absolutely — where you are in our career (just starting out, vs. more established) is one of those variables. Re. when to raise prices, throw a stone and you’ll hit ten different people with twenty different answers. I’ve heard some people say you should never raise your prices unless you have so many purchase requests you cannot keep up with them. Hi! Good info! I’ve been charging per square inch but am totally afraid to paint larger…because of how much I would have to charge per sq. In. Tell me your thoughts please. Where did you come up with $20?? Per linear inch? I am a new artist in oil painting, have my first show during April….currently charge 1.25 per sq in. Plus cost of framing. Thoughts? The $20 in the example was just an example. Your multiplier might be $10/linear inch, or $12.50/linear inch, or $14.75/linear inch, or $35/linear inch, or any other number, depending on where you are in the market. See my formula in the article for how to calculate linear inch pricing. I am a photographer and sculpter. How would I price my art? For your photography, pricing by size would work great. For your sculpture, you’ll have to figure out what makes sense for you. Certainly size will be part of the equation, but so much depends on your work, whether you work in a variety of styles, etc. Most of the principles in the article above should be helpful, though. Reading these comments & article has been very helpful. But my work is sculptor in plaster, stone and wood and even fibreglass. Sizes differ very much from about 6 in to 40 or more. Sometimes I consider pricing by time (it is very time consuming and pretty dirty) but am at a loss what to do. Up till now my policy has been: Not for sale! I don’t know how other sculptors handle this, but I would imagine it would make sense to have different pricing scales for different materials. Then perhaps within each material (wood, stone, plaster, fiberglass, etc.) pricing can be based on size AND on complexity. For example, stone sculptures in style A (very simple, clean lines) are $X/cubic inch (? ); stone sculptures in style B (more complex) are $Y/cubic inch; stone sculptures in style C (very complex and detailed) are $Z/cubic inch. You may have many different “styles” with a different pricing scale for each one. That’s one thought. I think the ultimate point is to figure out a system that makes sense to YOU, and will make sense to potential buyers, too. Great Post. This is a problem I’m struggling with now. I curate a coffee shop gallery in Addison TX and I have had artists submit low, and some submit way too high. To date, the most I have made off a single piece is $400. I’m going to play around with some of these suggestions to see if it changes our sales. I believe the pricing can sometimes be relative. If you charge $500 for a piece in one place, that same piece may sell for $1500 in a different setting. Something else I had an artist tell me, if you’re actually selling good at a certain price point, be prepared to lose some of that audience if you decide to jump up to the next price point. You’re so right, Michael – pricing is *always* relative! One person’s junk is another person’s treasure. And absolutely true, if you have an audience buying from you at one price point, they may not follow you to a higher price point. Then again, some of them might. And you might gain new customers who see your work as more valuable, since it costs more! In reference to your negotiation ketubah, there is an age old rule for this: name your price and then shut up. The first person to speak loses. You would be surprised how often this rule works out. As you’ve already said, if you had just been quiet for a few seconds, you could have made another $1000. I like your liner inch pricing model and I’ll have to take a look at that. Right now I use the square inch model and can see how it can get a little lopsided at the higher prices. So, I’ve also incorporated a growing discount above the 12×16″ size. So a 14×18″ would have a 97% discount and a 60×72″ would have a 70% discount. But, I ‘ll have to look at that linear inch pricing and see if it makes sense for me. I’m Migdalia Galloza from Puerto Rico Ive being reading all your comments and they have clear me a lots of questions, on how to price my work. I have being doing art since I was five years old. For the love of art. But at the age of 40 I started to sale and expose my art, I do murals, canvas, pencil drawing. Lately I’m selling more murals than canvas work, since I didn’t know how to price my mural I’m charging by the hour, I’m not sure if I’m pricing Wright, I feel that I’m underpricing my self. My price per hour for murals is $20.00. I will like to know what would you think. By the way I love all the information from every one thank you. Such a timely subject. Both of you gave me some really usable tips. I find that the linear inch could work for me. Dave, I like your idea of discounting the larger pieces as that pricing model could make those pieces really expensive. Thanks for all the wonderful sharing! Holy moley, this is fantastic! I have two exhibitions coming up, so I have just recalibrated all my prices. I particularly loved the resentment prompt! Just genius! The linear inch formula worked a treat for my large, rich canvasses, and I have decided to use an average-per-hour formula for my loose, free mixed media collages on paper. This was a very helpful article. Pricing my art has always been a challenge for me. I have an app that will give 3 prices according to wether it’s wholesale or so on. But, it takes alot of time inputting the info – like supplies, hrs to complete, inventory, etc. of course by the time I got it I was overwelmed with supplies & inventory, etc. sooooo, I have lost reciepts, u know all that stuff in lost & found & in order to buy more supplies my prices need to reflect today’s pricing. I use paper for painting mostly, now I have a new supply I’m painting (feathers of several different kinds of birds, then I will often use paper & multi-meduims(eccept oils) – I’m sure the by the inch method won’t generate replacement costs. I also, make & design wire wrap jewelry – this is what I hear more often than anr remark is ” your work is so beautiful & your prices are great.” as they walk away. I’m confused??? So, now that I’ve taken up your time & space(teehee) do u have some rules for me, I do concider this as 2pcs when I price. My 1st visit & I’ve learned alot about pricing, feathers have me stumped. thankyou all for the education! You may end up having multiple pricing scales: one scale for really time-consuming work, like your feathers. Another scale for less time-consuming styles. Your scale for really time-consuming work may be 2x or 5x or 10x your scale for faster styles. Thank you so much for this information. Pricing by sq inch and linear inch is a great idea. I determine pricing by the media I use and the time spend upon it especially if it is detailed. But often tend to stuble down, what if the the painting is not bought by the customer. I need to strictly follow the method I create for prcing. Thanks a bunch, very inspiring !!! You can price the art right but can get screwed like AL Luckett of Santa Fe, NM. He is a reknown art Aficionado and still got screwed by Sotheby’s in breach of contract. Can this formula work on color pencils as well? Hello! Great post Melissa, this was very helpful! I have one question that I really need answered because it’s driving me crazy. So far, all my paintings have been on canvas that is only 0.75 in deep (which is technically not gallery worthy). Do I charge less because of this or does depth not matter at all? Thank you and rock on! Thanks so much Melissa. This is really helpful! I am going to use the linear method to make pricing my art more consistent. This is very useful information, thank you!!! Excellent article. I’d like to add a couple of points from my perspective of working as a professional illustrator. First, remember that a part of your “work time” includes marketing and managing your sales rather than creating. Don’t forget to factor in that cost when setting your multipliers. Second, never be afraid to “fire” a customer. I think many of us have had the experience of the client who -for whatever reason- ends up demanding more from you that is realistically covered in your fee. That is not to say you should not deliver the project, but you should think twice (and then again) before taking another commission from them. The time you waste on troublesome clients can be spent on more enjoyable ones. I’m a newcomer to this website and really appreciate the insights and candor of so many diverse participants. I’m sure there is much more to come. @Larry S. Evans II Great points, Larry. Commissioned work is a bit of a different animal from other kinds of work, and as such, really needs its own, separate pricing structure. Some artists have a flat fee for commissions, which they add on to their size-based pricing scale. Some artists have a separate scale for commissions. And some just don’t accept commissions at all. For anyone who does take commissions, I strongly recommend getting really clear in advance on your limits. What will you do? What won’t you do? If you don’t want to take art direction, make that really clear UP FRONT, BEFORE you accept a job, so you don’t kick yourself later. Thank you so much for the great tips!. But I need a little help of yours. Though I am working as an artist for 4 years, but I am selling my art online for the first time. A client is asking me to paint flowers in watercolor, and he is willing to pay me as per flower basis. Please help me, how to charge that… I am afraid that materials and shipping is costing me too much, but I am also afraid that I am gonna lose a client if I charge that much. I have no idea what artists in my locals are charging because I belong to a place where there are not many artists. Another random tip – don’t price based on cost, time, etc. Price based on value. Make sure you cover your costs of course, but if you think your work is something special, then price it that way and market it to customers who are willing to pay more for something special. Don’t compete on price, compete on value by making your absolute best work. This was the most comprehensible and actionable article on pricing art that I have come across yet. THANK YOU! Most articles of this topic are so vague, leaving you scratching your head even more. The comments are also invaluable. This read has really helped me put together a plan that will actually work. Leah Davies Art Excellent! I’ve often felt the same thing, when looking for pricing advice. I’m so glad my article was helpful. The comments here are a fantastic resource! Melissa, Thank you for sharing your tips and experience. My art is what I call “fun art”… not fine art… and I realize I have lots of room for growth and improvement. I have a hard time deciding on a pricing structure but finally went with about $1 per square inch. However, sales for me are slow and I’m wondering if I should lower prices to 75 or 80 cents per square inch. Looking at other Etsy shops, which is where I’m selling my art, my prices are average compared to art of a similar style. Any suggestions? Cory, I have loaded 3 images of my paintings and 2 songs. In three days 620 likes are there. What should be next step? But now I decided to use your linear formula, bringing down the price for larger paintings, and increasing those for smaller paintings that sell more easily anyway because of wall space. Now I feel more comfortable with the scale. I also increased my supplement factor for techniques, that take several days. As for the ideas from Lori – I will try your approach. What I have learned at my art school, for example for doubling paper on canvas, we use 1/2 wallpaper paste (normal) and 1/2 joiner’s glue. And for varnishing paintings like watercolor we use Capaplex (diluted with water) among other things. No idea if this is even available in the US. Thank you so much for this! I have just begun starting to try and sell my work, and needed a basic guideline. Your article was thoughtful and easy to read. I now have a couple of formulas to go by as I brainstorm pricing for my upcoming pieces. Thanks again. You’re welcome, Stu! I’m glad my article was helpful! Hello! I am doing a show that is a fundraiser for a school and they take 50% of retail. This artist-by-invitation-only show is once per year, rather upscale, and is very well attended by interior designers, galleries, and other creative (art/design) industry professionals. For a fundraiser type of event, do you price your things slightly higher than retail, so that you get enough from the sale? At this point, I have only sold my work privately or by commission and at small pop-up markets where I pay an entry fee to exhibit my work, but keep all profits. I’ve not had my paintings in a gallery. How do I decide on a price where the fundraiser keeps 50% of what I normally charge and not come out below the line? Suggestions? Do I mark them up slightly? Any help is greatly appreciated from anyone in this group. You’re in a tough spot. If your prices aren’t yet at the right point where you can give 50% to the gallery and still make money, then you’re not charging enough to begin with. But if you just raise your prices to the profitable amount, then you will have a hard time going back down in price. You’ll either have to raise your prices just a bit and take the hit, or raise your prices all the way and not go back. I agree with Cory. 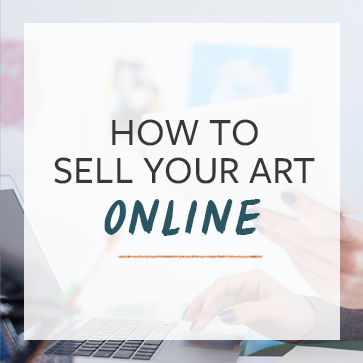 It’s really important that your pricing is consistent across the board, whether it’s offered at a fundraiser, out of your studio, or through a gallery, otherwise you risk really turning off your potential collectors. If you can’t afford the commission that the fundraiser (or any exhibit, gallery, etc.) charges, it’s a sure sign you need to raise your prices if you want to offer your work through those kinds of venues. Thank you so much for your suggestions! It looks like it’s time that I take the plunge and raise my prices. I guess there’s a reason why a few artists have mentioned that my prices are low. Most of all, I need to learn to be confident in my work/in my art and then other people will be too. Thanks again and I look forward to following this feed/blog. It has been one of the most helpful I’ve found on pricing. If I remember, I’ll try to report back what method I used (linear or square inch), per linear inch/square inch amount, and how well my things sold. Awesome. I look forward to hearing about progress! Excellent, helpful post – THANK YOU!!! 2 paintings, same exact size, same exact medium, but! one painting was obviously more time intensive than the other. Simply put, there is a LOT more paint on one than the other, so I fear that a viewer may be puzzled as to why they are the same price when one took the artist longer to produce. Would you recommend that I price these pieces the same? Or, should the one that is more simple and done more “fast and loose”be a little less? Please advise! I have to submit my price list by tomorrow! Rebecca, I think whatever you do, consistency is key. If the piece with many layers is a unique style that is really different from the less time-intensive piece, then it might be okay to have all pieces in that layered series priced $Y/inch, while all pieces in the faster series are priced $X/inch. However, if the pieces don’t look very different to the viewer, then it is not a good idea to make one piece more expensive than the other–it just creates confusion. I would always advise against pricing in a way that might come across as arbitrary. Your pricing really must make logical sense to potential buyers, and consistency is a key piece of that. Very helpful post to refer to my friend. Because he needs to price his painting soon. Thanks for your guideline. Great article! I was so unsure about my prices for ages, I just felt bad about charging anything! I recently doubled my prices (which were way too low) after I had been on tv. Now a customer I did a painting for 7 months ago, before the price rise, wants another very similar painting (it cost £500). Should I charge them the same as I did before because they are a returning customer, and they got me another commission from their friend as well? £1000 sounds like way too much compared to what I charged them before, but I know that £500 is under-selling myself. I really like them and don’t want them to feel they can’t afford to have the painting they want, so I am leaning towards asking for £500 again. What is the etiquette regarding returning customers and price rises? Any help would be much appreciated! Thanks! Charge your new rates. Stick to your guns. I’m an emerging artist in Baton Rouge so I wanted to ensure my prices were somewhere in the middle of the market. Ultimately, the goal is to shift to the New Orleans art scene. Your introduction of using linear inch pricing (the square inch method is a little high for me right now) helped me establish sound prices for my work-I wanted to make sure they were affordable but I also want ensure I am compensated for the total cost of framing and some (not all) materials. This article was very informative and I will continue to use this formula for future work! Your article was great. However I still have that sick feeling in my gut. My type of art is a pour method using Reiki (healing energy) Like you said in your article some images do take longer than others. With my work being so unusual how would you price this. I go on etsy and I see some for 15 and then I see some for 300. This just creates more confusion for me. I’d love some some help. Paula, my experience with a sick feeling in my gut is that if it is resentmentfor feeling underpaid, then I’m pricing too low. If that sick feeling is a feeling of overcharging, I’m afraid it is NOT a trustworthy gauge! This holds true for most creators I know, especially women, who have been programmed to undervalue our own work. The best I can suggest is to just keep doing your research and working on your pricing mindset. Thanks, Sara! I’m so glad you found it helpful. This article is fantastic! Incredibly helpful. I must thank you for sharing it – very generous of you. I’m just starting out (literally haven’t even sold one yet) and am onlyb18 so you can imagine selling art work isn’t going to be easy by any stretch. I had no ideo how much to charge my work for but this has been an eye-opener! “I have no idea what to ask for it”. Based on your pricing method, one picture would go for $800. To me that feels crazy. $800 for your first piece may seem like a lot, but it’s not crazy. You can start lower if you want. It’s all about the multiplier that you use. As per this article under “Be Clear And Consistent” I totally disagree with the analogy as in comparison as to establishing a price. It is mentioned that if the artist is charging by the hour that painting A may cost more then painting B. Well to make things very consistent all the artist has to do is set an hourly rate for doing that exact type of painting and stick with it. For example the lighthouse carving to which I made here at http://www.artpal.com/kennethyoung?i=6341-7 I charge $10.00 an hour which is the Canadian minimum wage. I established this rate because I am classifying myself as the beginner artist and as I feel when have become a higher level of wood sculptor then I will charge more. Very helpful! Will go creat additional spread sheet for linear inches! I’m liking working bigger, but can’t stomach alleged appropriate prices! Very valuable information ! Thank you so much for sharing !!! This was so helpful..I am wondering about pricing of originals vs. prints that are manufactured by Redbubble or Society 6. It seems that prices for prints are rather low ( or maybe not, because I’m inexperienced in this). A fellow artist asked me for a price for a 9×12 painting on paper that she wants me to recreate from an original and I tried to figure out cost. I think my price is fair, but have not heard from her. When she posted that she was selling an original at the same size, I noticed her price was $55 less than what I was asking. I thought I may have overpriced, but I truly do value the work I am doing, but I am also just gaining interest in my art..based on what I have read here, I feel better about it, but I’m curious about what you think. Thanks again! Great article and very interesting responses from so many people as well – many thanks. I love the ‘resentment’ statement as it rings so strongly with me especially when it comes to galleries wanting 50% of the sale price. A friend of mine who is a marketing man has helped me get my head around this by saying I should view that 50% as a ‘marketing cost’ because galleries also help get your name out there and they are also largely responsible for creating future value for your work. Clearly you need to keep all the other channels open to selling so that half your life’s work isn’t written off as a marketing cost! A question I have for you guys; I see a lot of artists websites where prices are not displayed. I’m of the school that it is better for any business to show their prices (there’s nothing I find more irritating than shopping on the net where businesses don’t) and have done so on mine. I do think displaying prices is a good thing. Many artists don’t because of agreements with their galleries or for other reasons. I am starting out and have been asked to do some pieces for people. I have been avoiding talking price cuz I honestly didn’t know how to go about it. I value my work but always felt like any price I set was too high. I have used your linear inch pricing method and feel a lot more confident! Thank you for the great tips! Maybe I missed the comment, but I have a structure for larger (16×20 – 30×40) pieces on 1.5″ depth gallery wrap canvas and wanted to know if the same structure could apply to smaller(5×7 – 8×10) canvas panel pieces. I have painted 14 paintings sizes of ( 8×8-22×28). How dose a non-trained price there art compared to a artist that has art training? Thank you so much for the advice! I’d been pricing my paintings at .50 per square inch because the 1.50 my professor suggested seemed like too much. The linear pricing feels so much better. Now I’ve just got to dig my heals in and keep to a sufficient price. I do have a question about pricing for the use of a painting. If someone wants to buy the rights of an digital image of one of my paintings to use on a website, how much should I charge? Is there a typical percentage of the painting’s price that is fair? What a concise and helpful post about pricing art. I am still in the early stages of even deciding to sell my art but it’s great to get your advice. The fact that you got a commission for an art piece through facebook makes me happy that I am sharing my work and my husband’s paintings on social media! Hi, I was wondering about pricing for an emerging artist. I am an art major and my strength is graphite. I took a painting class though, because I knew it would benefit me. Someone expressed interest in a 11×14 acrylic painting I did. Because I am brand new to painting I offered to sell it for $40 because I know I do not have the expertise to fairly charge a high amount. It was a nice landscape painting though. The buyer responded by saying he was surprised at that price, but happy. Did I undercharge? I don’t want to rip anyone off, but I’d like to make as much as I deserve. What is reasonable for someone who is just beginning? Thank you so much for this article, It was really helpful not only on how to price my work, but how to not feel apologetic about it! Lately I have had a few awful clients and truth of the matter is a lot of people can’t do what we do, they don’t understand it and don’t cooperate. With that being said I will take your advice…I will not undercharge myself and what I state for prices I will stick to with no explanations! Thanks again for writing this! WOW, Thank you for all the wonderful information on pricing your art. I also am in the same situation of pricing and will use the linear pricing method. I have been painting for 25 years and have never felt this confident about a pricing method. Thank you so much for this information. When I first started with sterling silver, labor-intensive jewelry I priced items too cheaply. The lesson I learned was this – how ever cheaply you price your work there are always people who will want it cheaper. I’ve learned that I need to charge a fair price for my work and materials in order to attract customers who appreciate it or who are really attracted to it. Now that I paint, in addition to silver fabrication work, I aim for customers who want what I offer, at a good price, rather than those looking for a “deal”. I think that it also reassuring to customers to know that the heft, feel and appearance of your work is in-line with the prices that you are charging. This saved me a lot of headaches. Thank you! Hello Melissa, thank you very much for this amazing article. It was full of great advice and I have to reread it at least once to truly catch every subtle nuance, but I saved it for the future because it is so incredibly helpful. And so I was thinking – you must have spent a lot of time in the art biz, cuz you seem to be very knowledgeable… right? May I trouble you, then, to ask you about pricing? I studied painting at art school. I have lots of paintings I´d like to sell, but the trouble is, in my area and my country, only the Michelangelos and very famous people manage to sell them… but I am neither. I am just an every-day person who happened to study art a loooong time ago, and was not trying to pursue it after school at all. I moved on and I do something else; to be honest, I returned back from work to go to university, which means my funds are very scarce, almost non-existent. I am really in a bad need of some money, and I am willing to sell my paintings at all cost (which is probably a bad thing), cuz I really need to eat. My paintings are rather smallish (no money for large canvases), mostly about 30×40, 20×30 and 30×40 centimeters (sorry, I dunno how many inches that is). How much can I want for them when they are this small? I want to sell them somewhere abroad. I would also like to know if they are any good. My friends like them, but they are no measures of quality, you know, they are my friends and they might lie out of sympathy or friendship. I want a honest opinion to know if I can sell them at all. Could I trouble you to look at them? They are displayed on DeviantArt. Some of them (the childish ones) I won´t sell, I know they are silly. But I like some of them. Could you gimme a brutally honest opinion and an advice? Thank you very much, and thanks for your time. In case you could not see the website, my DA address is: http://calucifer13.deviantart.com/gallery/32327815/My-paintings?offset=0. Thank you. Thank you so much for your advice. I have been painting many years and decided recently to start marketing my art work. One issue I have is that I frame my work according to the subject matter and colors in the painting. Sometimes this gets rather expensive because different pieces merit nicer framing. All in all, I wasn’t too far off my pricing. I paint in oils, and in layers and glazing. So yes, my work is time consuming but at least I come out with a nice painting. Thank you again, I would really love to hear from you. Maybe we can share a piece of work from time to time. I hope no one else has already asked this: How do you price prints then? Hi Julie, we wrote a blog post on pricing prints. As for your first multiplier, start low. Do some research on other artists similar to you and just set something that will get you started. It should make you feel a little nervous, but not so much that it prevents you from moving forward. Years ago, I purchased some art that I’ve now grown apart from. I need something new to put in my home. However, in order to do so, I need to get rid of what I already have. I want to find out how much the resale value is on it. Should I list it at its old price or lower? I just want to make sure I follow your tip and don’t undersell it. 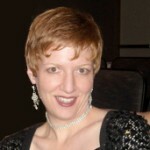 Jessie, you might reach out to a local auction house, art dealer, or even a website like Lofty.com. Coming from the graphics/freelancing field where I charged by the hour for my designs, it seems odd to me that all artists would charge by a standard ‘rule’ for their work. Are we homogenizing the work of someone who labors for weeks on a portrait vs. someone who perhaps is an abstract artist and takes 1 day to complete a painting? Or beginner vs. seasoned artist? In either case, if both paintings are 36″ x 48″, do they still charge the same 36+48x$20? (linear in. ex.) It would seem the 3 week portrait painting would command a much higher price than $1680 ($4320, by sq. in. ex. ), though that could possibly work for the abstract. I’m curious why painters wouldn’t charge an hourly rate? You take the value & time spent into account by adjusting your multiplier. So for a very complex piece, an artist might charge (36+48) x $20 where a very simple piece might be (36+48) x $10. You don’t have to do it this way. You can charge by the hour if you want, but at some point its no longer about how much time you’ve put in, its about the value people assign your art or about the value of your brand. I’m from Sri Lanka, doing oil paintings. would like to know how I should represent my paintings to international auctions or international buyers who are interested in? Thank you so much for our answer. For square inch the multiplier is $2.50 and linear inch the multiplier is $20 – why the multiplier difference? I understand the difference in calculating size, but why does the multiplier change? The difference doesn’t matter. They’re just using different examples. Use the multiplier that works for you. hi there, just wondering, I am self taught and over the last year have been putting my paintings out on social media, I have done 2 or 3 commissioned pieces which I am totally happy with but am a bit in the dark when it comes to pricing. As I have not been doing it for long I don’t want to charge too much, but on the other hand I don’t want to under sell myself either. does any one have anyway of guiding me along this difficult route? Hi! I am doing linear as well based on your article and love that. Best pricing help I have found yet regarding pricing so I thank you for putting this out there for others to find. I do have a question. I am doing the linear pricing.. but I am a portrait artist how would you do for the 2nd or let’s say 3 or even 4th person on the canvas? How would you figure that out? I think adding more people is a lot more work and doing the one flat charge like I would a single person just doesn’t cut it. thanks!! I am new here. I love to sketch and paint landscapes and trees. My medium is pencil and Acrylic paints I watch tutorials and try to paint the same. I need assistance. I have just stumbled upon your website when I was looking for ideas on how to charge for paintings. Great advices and ideas! My question is: does anyone ask for a initial payment to secure the deal or that wouldn’t be very “artistlike”? Always get at least 50% up front before starting work. Thank you! It makes me feel better that it is a common practice. Thanks for those tips. But, what is this linear inch pricing? Hello. Thank you for this information. I have done a ton of research and still cannot decide on what price to charge per a linear inch (which is what I want to do.) I am not formally trained in art (I happen to have a BA, MA, and PhD in theatre go figure.) I paint acrylics and I am just starting to sell my work. I want to start at a good solid price that doesn’t put the work in a cheap market but also positions myself in the emerging artist category and not established. Anyone have a good # to put this at? This is very much down to you, and there is no definitive answer. However, one common way is to decide an hourly rate for yourself, then price each artwork according to the time it took to create. For example: if your rate is £25/hour and you took 10 hours to finish a piece of work, then it’s price should be £250 + cost of materials. If the materials cost £50, then the price of your artwork should be £300. You may also want to factor-in costs such as sales commission and framing. You might find it useful to compare your prices with those of artists similar to you. It’s also worth noting that you can gradually increase your hourly rate as you gain experience. Even we use inch wise pricing and have shipped paintings to over 12 countries successfully. I am a portrait/ mural artist. I’m painting large scale exterior murals for 3100. per each 16×12′ area but I am getting too old for climbing scaffolds and would like to just scale back and sell small studio pieces on FB. This is a very informative discussion. Do you think it’s a good idea to start with blog posting or post finished paintings right to FB? Hi Melissa, thank you so much for this post. I learned the hard way back in the 80s and 90s with tole painting on wood. Now with acrylic and resin pours, it’s a whole new ball game for me. Customers saying “I love it” does not pay the bills lol!